In this thrilling sequel to Rogue Patriot, JD and his team are hired by an enigmatic expatriot American to protect the an oil platform off the coast of West Africa. That platform can provide great benefit for the emerging nation of Senegal, but not everyone involved wants that to happen. JD in London and Flash in Senegal find things are not at all what they expect. 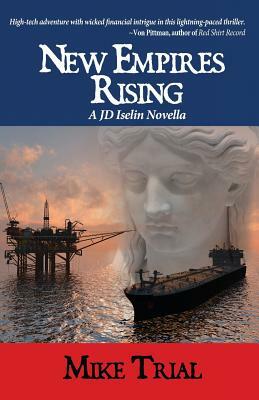 The vast power of transnational oil companies, bound by the laws of no nation, can produce great good or great problems, and JD and his team must deal with those powers, and overcome corrupt officials, untrustworthy middlemen, behind the scenes oil stock manipulation, and the raw power of an out-of-control enemy mercenary team, to ensure the oil platform is secure and the people of West Africa receive the benefits they deserve. This time JD is contending with truly global powers, and the men and women of Iselin Security Options will need every bit of their combat-honed skills to succeed. Meet JD Iselin and "Flash" Gordon in the first of the JD Iselin series in Rogue Patriot, an equally thrilling novella by Mike Trial, released in 2016. It is available in paperback and eBook at your favorite online bookseller. And, for a proper introduction to Jason Wolfe and to learn how he got his start in oil trading, you're invited to read "Tanker at Risk" in Mike Trial's 2015 short story collection, The Icy Fire of Deception, also available in both paperback and eBook.